If getting people to learn how to save for retirement has been hard, teaching them how to spend their nest egg will be harder. It’s a sobering reality: almost 70 percent of Latinos have no retirement accounts whatsoever, compared to less than half of non-Hispanic white households in the United States. One reason for this worrisome financial gap, says a recent report by the National Council of La Raza, is that Latino workers are over-represented in small businesses that cannot afford to offer retirement plans. For instance, only 29 percent of employers with less than 50 employees offered retirement plans –- and just 13 percent of those with fewer than 10 employees -- compared to 65 percent of large firms. Forty percent of all Hispanic workers are employed by companies with less than 50 employees. But retirement accounts do not have to be expensive and out-of-reach. One very affordable option is the recently launched myRa (My Retirement Account), which President Obama first proposed in his 2014 State of the Union address. It's a way to get more Americans into the habit of saving money for their retirement. Think of a myRa as a type of “starter” retirement account. Treasury Secretary Jacob Lew said in a statement that myRa has been designed to remove common barriers to saving and give people an easy way to get started. He said it "can give people confidence that they’re taking steps in the right direction - myRA has no fees, no risk of losing money and no minimum balance or contribution requirement." It makes saving easier because savings can be put directly into myRA directly from a person's bank account. A myRA account can be opened with as little as $1 and there are no fees. and there is no risk of losing money as the funds are backed by the U.S. Treasury (a special Treasury bond was set up for the program). 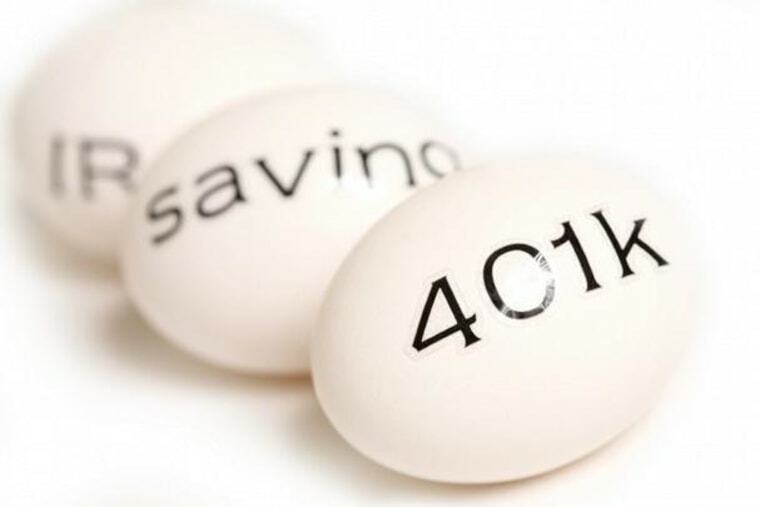 Deposits can be as small as $5, and some enrollees may be eligible for the Retirement Savers Tax Credit, which could be beneficial for lower-income myRA contributors. Financial Planner Louis Barajas says it really is possible to set money aside, even if individuals or families may think they can’t. “What has worked most successfully is to set up an account where the payments are automatic so you don’t even see the money. It’s really the only way to do it,” said Rojas. The total amount of contributions in a myRA is $15,000; after that the account is rolled into a regular Roth IRA. “It helps level the playing for the underserved communities since many financial planners are not really set up for smaller accounts,” says Barajas, the author of five books on financial management and one of the first Latinos in the U.S. to receive a Certified Financial Planner designation. But myRA has a few drawbacks, though, including a low rate of return, compared to a regular Roth IRA. Also, while a Roth IRA can be opened by anyone, a myRA has to be set up through an employer. The employee owns the myRA, but their employer helps set up the direct deposits. In other words, there has to be employer participation in the plan. Financial advisors point out that there are several other options online that weren’t available even just two or three years ago. “There are many wonderful opportunities that are also low-cost and can give people better returns than a myRA,” adds Barajas. Among them are betterment.com and wealthfront.com, and many more are expected as the online boom seen in other services and industries reaches further into the financial industry. The bottom line, say industry experts, is that myRA and other savings programs are there for the taking and there is no excuse for not participating. Though myRA alone will not solve the nation’s retirement savings gap, it's an important stepping stone for encouraging and creating a nation of savers, said Treasury Secretary Lew.